2G. – waste2energy. | clean. sustainable. feasible. combined heat and power generation. CHP. A 2G module is the ideal solution for everyone seeking to reduce energy costs in the long term and free themselves of rising electricity prices. 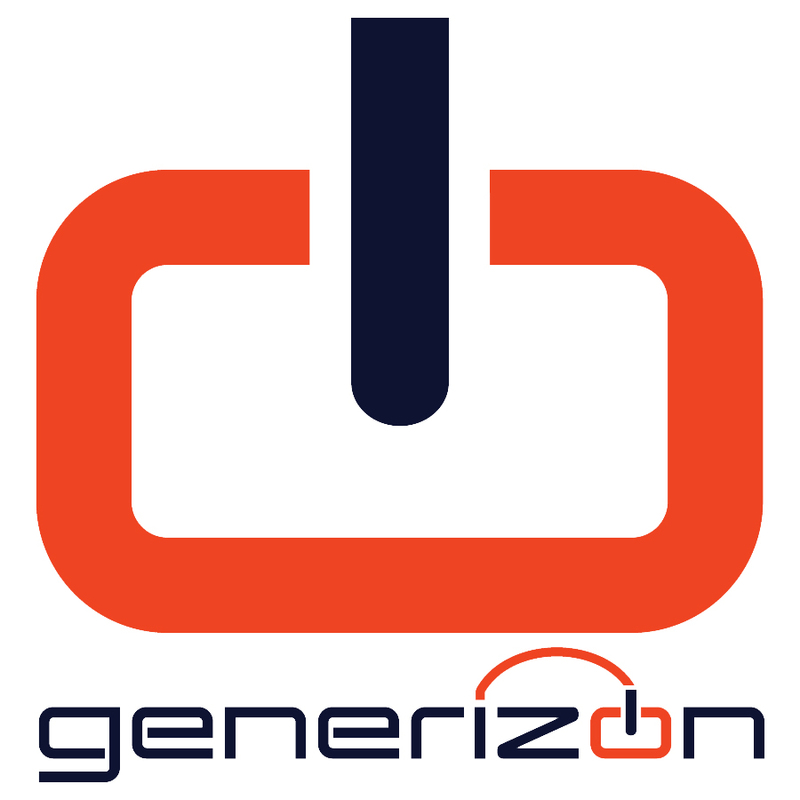 2G is a pioneer, innovator and one of the leading manufacturers of decentralized energy generation systems using combined heat and power (CHP) in the world. Since 1995 2G has commissioned almost 5,000 technologically advanced CHP plants all over the world. Satisfied customers in 43 countries confirm the quality, performance and reliability of 2G’s products and solutions. As a joint stock company, 2G is listed in the Entry Standard segment of the German Stock Exchange and employs 580 people. 2G also has a production and sales & service site in St. Augustine, Florida, USA. The simultaneous generation of mechanical energy and useful heat is called combined heat and power generation (CHP). While the mechanical energy is converted directly into electricity, the heat can be used to heat, cool or generate steam. The heat resulting from the electricity generation therefore does not simply escape into the atmosphere unused, but is put to good use. This makes combined heat and power technology so efficient and environmentally friendly. Up to 40% of primary energy is saved. CO2 emissions fall by up to 60% compared to conventional electricity generation in large power plants. 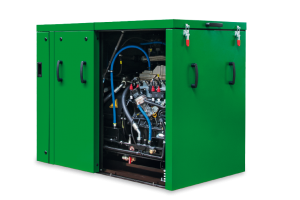 product range with an electrical output range of 20 kW to 4,000 kW. 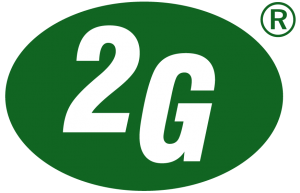 Download the 2G product range. 360° view of containerized unit. references. g-box. profitable natural gas plant. 20 – 50 kW. g-box. by 2G. 20kW and 50kW. Compact, ready-for-connection module. control cabinet is designed as a separate unit on the module. modular assembly facilitates insertion and installation. completely enclosed sound cap – suitable for noise-sensitive areas. Thanks to calorific value utilization, both the g-box 20 and the g-box 50 reach efficient levels of over 100%. completely water-cooled, no air inlet or outlet required. natural gas or alternatively bio-methane. g-box 20 also works with liquid gas. For residential buildings. department stores. hotels. swimming pools. more. agenitor® series. 2G development. natural gas or biogas. 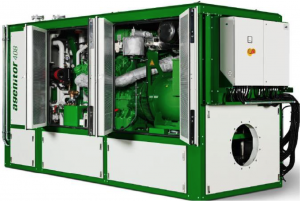 100kW – 450 kW. 2G CHP. agenitor 408. 360kW. in sound capsule. 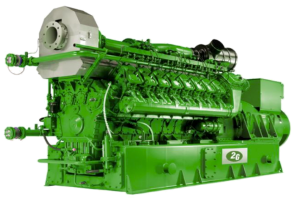 The development team at 2G Drives GmbH, 2G Energy AG’s research and development company, has achieved excellent results in terms of the efficiency of CHP plants by optimizing gas engine technology. Significantly increased efficiency levels. electrical efficiency of 42.5% putting them at the top of their respective output classes in the world. lower gas consumption. lower fuel costs. higher yield. very reliable in regular start-stop operation. For landfill sites and wastewater treatment plants. for biogas installations at agricultural and agro-industrial plants. more. avus series. natural gas or biogas. 520 – 2000 kW. Up to 4MW, on demand is possible. 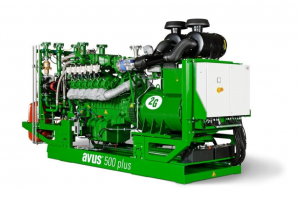 avus engines are designed for superior quality and very high performance. Engines are based on agenitor®. Jenbacher. MWM-Caterpillar. For landfill sites and wastewater treatment plants. Complete solutions for the most demanding industrial applications of electricity, heat and steam generation. more. 2G avus 1500b. Jenbacher 420. 1,487kW. biogas. 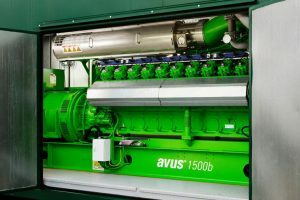 2G avus 1500c CHP. MWM TCG 2020 V16. 1,560kW. natural gas.